The Purely Yours Breast Pump combines hospital-recommended technology and mom-friendly features. It’s perfect for mothers working full-time and for those who want a fast and easy breast-pumping experience. The world’s only proven protective barrier. Independent Suction and Speed controls make it possible for mothers to achieve a multi-phase experience. Its independently adjustable controls make it possible for a mother to keep the pump set on her maximum comfortable suction level while varying the pump’s speed to more quickly trigger the first, second, third and subsequent milk ejections. 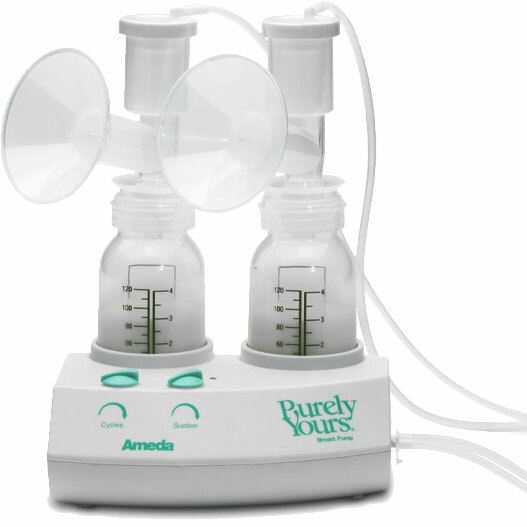 Qualify for the Ameda Purely Yours Breast Pump through insurance.